When I learned of Raschel Charles and her children’s book project that stars a girl who is decidedly childfree, I just had to support it! May this book be the first of more children’s books that expose them to the fact that parenthood is indeed optional. Here is a Q&A with Raschel, with how Eisley and the Quest to be Baby-Free came to be and more! What inspired you to write this book for children? It all started with my friend Jenny. She was trying to have a tubal ligation at the age of twenty-three and EIGHT doctors turned her down. They claimed she was too young, that she might change her mind, that her “future husband” might want children one day. She didn’t seem to have a say in her own life about her own body. I was infuriated that women still have to fight for their equal rights and struggle even more to have their choices respected. I could tell my two daughters sensed I was upset about something. So instead of going into an angry mom rant that they would zone out of, I decided to write something they would relate to. That’s how the first draft of Eisley came to be. What as a mom inspired you? How did you decide on the story line it, e.g., Eisley is quite the brave adventurer! While the first draft of Eisley still had all the impossible awesome hobbies and adventures Eisley goes on in the book, it featured her traveling the world to find different doctors to help her. It came across as more of a political and harsher statement than I intended for children. So, after a few brainstorming sessions, it made more sense to have her struggle with people she was intimate with, e.g., her parents and friends, to really show how it’s more than just societal norms that can conflict with your personal decisions. How did you find the illustrator, Maja Bertole Jeras, and can you tell us a bit about your collaboration with her? I’m quite the child at heart and have a love for all things animation. I knew right away what style of art I wanted for the illustrations and set out to find the right artist. I found Maja on a website called Twine. I fell in love with her artwork right away and absolutely had to work with her. I feel incredibly fortunate to have had the opportunity to work together. 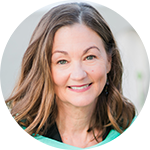 Not only was she easygoing, but she was always excited about my ideas and eager to help me understand all the aspects of preparing my story for publishing. She truly brought Eisley to life. What is your vision for this book? I originally set out hoping to inspire children that their choices matter. Now I feel it’s morphed into something much more than that. I want to empower everyone. I want them to believe in themselves and their ability to change the world. I want people to read it and find their strength and bravery to be able to stand up for themselves. To stay true to who they are. 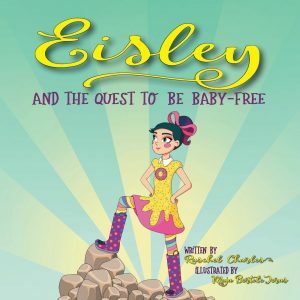 Please share Eisley and the Quest to be Baby-Free with the children in your life! 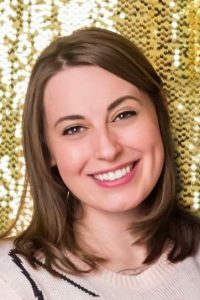 Raschel Charles is a mother to two amazing and creative daughters, wife to the most loving and annoying husband, funeral director by day, laundry procrastinator by night. This is her first book.